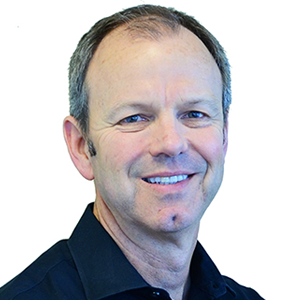 An internationally recognized leader in the emerging growth areas of the Internet of Things (IoT) and machine-to-machine (M2M) communications, Roger Dewey is the Founder and CEO of Able Device. 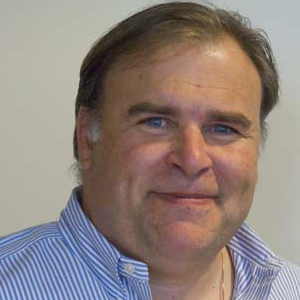 From 2006 to 2008, Dewey held the position of President and CEO of Telit Americas. He launched and led Telit Wireless Solutions’ entry into the Americas M2M marketplace. For his efforts, Dewey was recognized for the second time as an Industry Pioneer by Connected World Magazine in the spring of 2008. 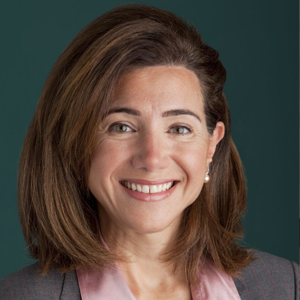 From 2001 until 2006, Dewey held various executive positions at Sony Ericsson’s M2M Com Business Unit, including Vice President of the Americas, and Vice President of Global Business and Product Strategy. During his tenure at Sony Ericsson, Roger Dewey was honored with the prestigious Telematics Leadership Award presented by Telematics Update Magazine in 2005, as well as being recognized for his achievements as an Industry Pioneer by Connected World Magazine for the inaugural award in the spring of 2004. Davitt Potter is the Field CTO of the Technology Alliances Group for the Enterprise Computing Solutions segment of Arrow Electronics, Inc. (NYSE: ARW). A nearly life-long computer geek, Davitt’s first PC was a Commodore 64 at age 8. 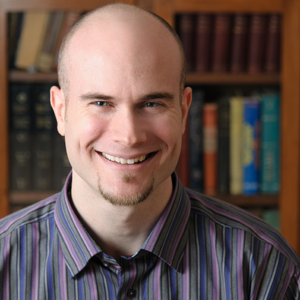 After being indoctrinated in Computer Science at the South Dakota School of Mines and Technology (and then a real-world education as a field engineer, systems architect, and security and infrastructure consultant for over 15 years), Davitt joined Arrow in 2010. 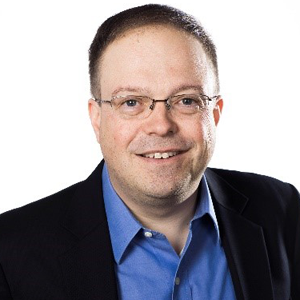 He has been Director of Technical Services since 2013 and currently leads the Arrow Security Engineering team, driving strategy discussions, CTO/CISO consulting, and end-to-end engagements, to provide partners and their customers with the information to help them securely enable and do business. In the very little free time that leaves, Davitt likes to work on old cars and (attempts to) plays his collection of guitars. He lives in Dallas, TX. Robert Forget currently serves as the CTO for Aware360. In this role, Mr. Forget is key in technology research and integration reviews including both devices and software. Robert also manages technology partners and strategic sales efforts for custom solutions leveraging the Aware360 platform. Previously Mr. Forget worked for Vecima Networks Inc., in positions of increasing responsibility starting in business development and moving through the organization as Director of Sales, AVP of Product Management and finally as VP of Telematics.Robert ran his own consulting firm from 2000-2004, specializing in electronics design and systems implementation. 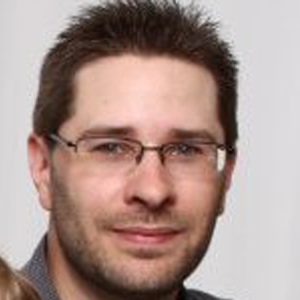 Robert has a Bachelor’s degree in Engineering Physics from the University of Saskatchewan, an MBA and is a certified Professional Manager. Mr. Forget currently serves as Vice Chair of the Smart Cities Advisory Council at CompTIA and is on the board of directors for the Canadian Institute of Management and has been active on the boards of many organizations from such diverse areas as technology associations, housing developments, politics, and not for profits. Business Development Manager, Healthcare, Axis Communications, Inc.
Paul Baratta is the Business Development Manager for Healthcare for Axis Communications, Inc. In this capacity he is responsible for developing strategies and building channel relationships to expand Axis’ presence in healthcare markets. 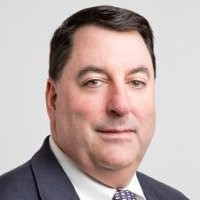 Mr. Baratta has over three decades of experience building market share in the healthcare space having risen to executive positions at GE Security as well as Niscayah and Stanley Security where he was a recipient of the Presidents Club. Mr. Baratta also spent 26 years in local and college campus law enforcement. In addition, he served as Chief of Police for Beth Israel Deaconess Medical Center overseeing police, security and emergency management. Among his many commendations in law enforcement are the Massachusetts Police Council Exceptional Service Award for Bravery, the Westford/Littleton Elks Top Cop, and MIT Officer of the Year. 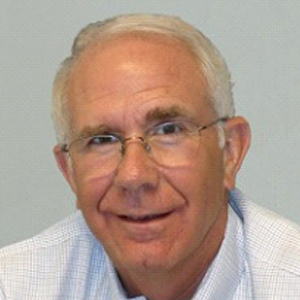 Mr. Baratta is an active member of many healthcare associations. 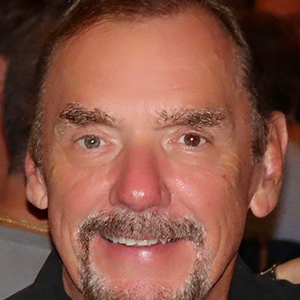 He is the Chair of the Healthcare Working Group for SIA, a member of the ASIS Healthcare Advisory Boards, ASIS Boston Chapter Treasurer, and serves on the Membership Board of IAHSS. Ken is Executive Director of Cornell Cooperative Extension of Tompkins County, and helped form a group comprised of business owners, technology workers, government officials, researchers and activists to develop and implement useful applications of LoRaWAN technology . The group is actively exploring applications for agriculture, water quality and flood and stormwater management, air pollution monitoring and real time energy management. 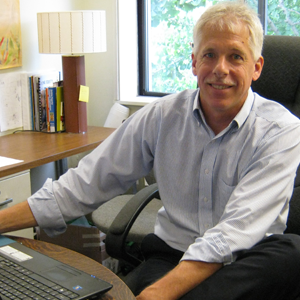 Ken brings over 30 years of experience working with under-resourced local governments in agricultural and economic development and disaster planning and response in rural communities in Asia, Latin America and now the US. 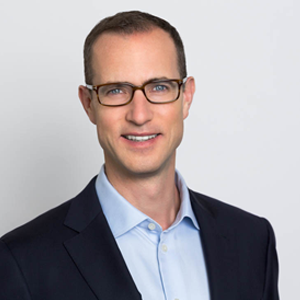 Todd brings thirty years of technology executive experience to Cradlepoint where he is responsible for overseeing the company’s strategy, M&A activities and strategic partnerships. 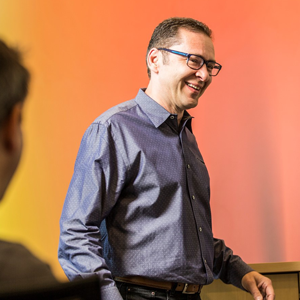 Prior to Cradlepoint, he was CMO at Pertino (acquired by Cradlepoint in 2015), a pioneer in software-defined cloud networking. Previous roles include COO at Red Lambda, CEO at Gearworks (acquired), VP of Worldwide Marketing at Packeteer (IPO, acquired), and VP of Marketing at Sync Research (IPO, acquired). Earlier in his career, Todd held engineering, product management and regional sales roles at AT&T and Siemens Communications Systems. 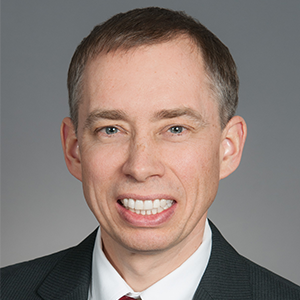 He is currently a co-founder and board member of the Minnesota Emerging Software Advisory, a non-profit C-level mentoring organization for early stage software companies in Minnesota, and holds two patents for application-based managed network services. Dmitry Raidman is Co-Founder and CEO of Cybeats, a cybersecurity and lifecycle management company for IoT devices. Cybeats solves a critical security problem for companies that manufacture, integrate or deploy IoT devices in the smart building, medical and critical infrastructure environments. Until now, IoT devices have been vulnerable to cyber threats, making them easy targets for attackers. Through an “inside-out” approach, Cybeats deploys a microagent in the firmware that complements the existing software and hardware of the IoT device and ensures it will not be compromised. Today, Cybeats is a rapidly growing company with offices in Toronto and presence in Israel, that has recently secured $3M in seed funding. CEO Dmitry Raidman is a former Israeli InfoSec professional with a career that has spanned various roles including lead architect of complex and unique systems at companies like Sealights, FLIR, CA Technology and Allot Communications. Dmitry is a proud father to two girls and enjoys flying fighter jets on a simulator, and mountain biking IRL. Cybeats is the recipient of the 2018 IoT Global Awards in both the Security IoT and Big Data, Cloud and Analytics categories. Marco Della Torre is CTO of Derive Systems. 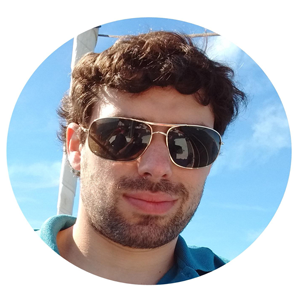 Marco is responsible for leading the roadmap and execution of Derive’s engineering and product development teams. Marco’s multi-disciplinary team designs and develops Derive’s current and future products from board to cloud, through UI/UX design, hardware, firmware, software, mobile and web platform engineering. Marco has over 15 years of experience managing product portfolios and leading elite engineering teams. His passion, insights and enthusiastic leadership bring inventive technologies and solutions to life. Prior to Derive, Marco was the co-founder and VP of Product Science and Business Development at the wearable technology company Basis Science, later acquired by Intel, and one of the first team members of the biotech startup BAM Labs, acquired by SelectComfort. Marco’s focus on high-growth, industry-defining companies has given him the opportunity to create, build and lead product-driven partnerships with Red Bull, New Balance, the ESPN X Games, the NBA and beyond. 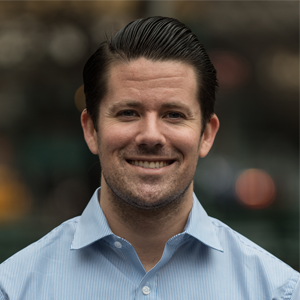 Vice President, Dispersive Technologies, Inc.
Colin is the CMO of Domotz, an enterprise SaaS startup providing everything you need to manage multiple networks and monitor IoT devices regardless of brand. Previously Colin founded Axius (StartX S18), a venture-backed startup creating a platform for device management and cybersecurity in Smart Homes and Techmate (YC S16), an on-demand service for in-home tech support. Additionally, he started BookRenter, the very first textbook rental company. Colin founded the company to address the high cost of educational materials and their impact on higher education accessibility. 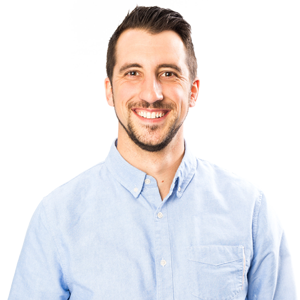 Before BookRenter, Colin helped grow Decide Interactive, one of the first bid management platforms for SEM. 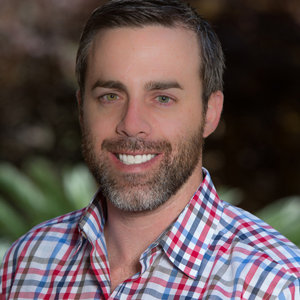 Colin holds a BS in Management Information Systems and a Minor in Information Technology from Santa Clara University and an MBA from Stanfords Graduate School of Business. A senior technology leader and team player with unique match of skills and successful delivery experience around IOT, Enterprise Systems and Voice platforms. Providing value in Architecture, design, Data Center, Contact Center, Cloud Migration, program management and building of strategic systems. Lead many clients in Healthcare (Northwestern Medicine - Chicago, University Hospitals – Cleveland, Pfizer – Lake forest), Insurance (State Farm, Farmers Insurance, Progressive Insurance), Energy (Pacific Gas and Electric, Consumers Energy, Peoples Gas) and few others connecting devices and systems pre and post IOT revolution. Detail oriented in infrastructure and Information systems with customer centric approach, fast ROI, best practices, ITIL, six sigma, ease of use, overall business sense and total customer satisfaction. A trusted advisor to C-level executives. Lead global projects, from discovery to completion with full responsibility of P&L and resources management with Significant Business Experience and Savvy. 20+ years in lead roles strategizing operational excellence for multibillion-dollar global and national companies. Last project handled about $20 Million USD. Past projects managed exceeds 100 million USD/year. Dr. Hallstrom serves as Director of Florida Atlantic University’s Institute for Sensing and Embedded Network Systems Engineering (I-SENSE), which coordinates FAU’s activities in Sensing and Smart Systems. He holds a B.S. in Systems Analysis, an M.A in Economics, and M.S. and Ph.D. degrees in Computer and Information Science. His expertise is in the design, deployment, and management of wireless sensing infrastructure, with an emphasis on sensor platform design. His work is currently supported through the National Science Foundation, the Department of Energy, and NOAA (via subcontract from Coastal Carolina University) and was previously supported through the NSF, EPA, USDA, NASA, and other entities. 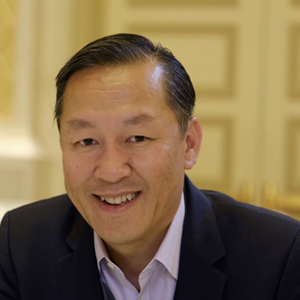 Vice President, Strategic Programs, Fortinet, Inc.
Jonathan Nguyen-Duy leads Strategic Programs at Fortinet where he focuses on emerging technologies and key partnerships that enhance security and facilitate digital transformation. 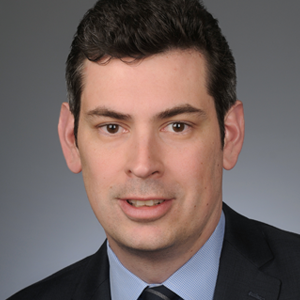 Previously, Jonathan was the Security CTO at Verizon Enterprise Solutions where he was responsible for strategic technology partnerships, the Verizon Cyber Intelligence Center, and the data science team that produces the annual Data Breach Investigations Report. Prior to the Verizon/MCI merger, he was responsible for development of Verizon’s first hosting, managed security services and business continuity practice. He has more than 15 years of security and BCDR/COOP experience, managing security and IT operations around the world – working through business interruptions including armed conflict, civil strife, labor strikes, natural disasters, terrorist attacks, network outages and a wide range of cyber attacks. Jonathan’s most recent speaking engagement was IoT North America in Chicago. Brian Geisel is the CEO of Geisel Software, a leading Internet of Things development company that focuses on Embedded, Web and Mobile Software. By working with some of the most innovative hardware, software and security companies, Brian has quietly influenced the design decisions in many of the devices hitting the market today.A former radio host, Brian thrives on delivering relevant, powerful messages to audiences everywhere. With his diverse technical background and aptitude for speaking, he is known for his ability to simplify complex topics and present them in a way that is insightful, potent, and easily understood. 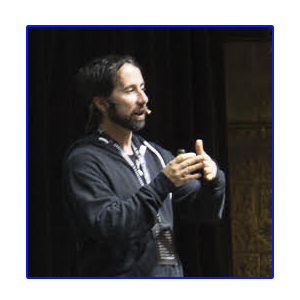 He regularly speaks on a wide range of topics from SaaS to Software Hiring Practices to Security.Geisel is also a prolific blogger and has been featured in Entrepreneur Magazine, Bloomberg Business, BBC, Forbes, Minyanville.com, and other major outlets. See Geisel’s speaking reel at http://geisel.software/speaking. Diego Fernández Brihuega is the VP of Technology at Globant, a digitally-native technology services company. 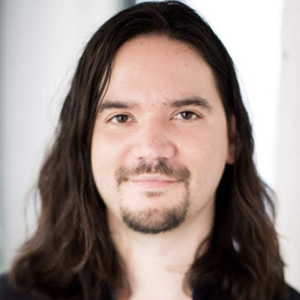 At Globant, he leads digital transformations for healthcare organizations and creates holistic digital solutions for clients that are centered around their customers’ needs and expectations.Diego graduated as an Electronics Engineer from the University of Buenos Aires and holds a Masters in Science degree (Msc) and a certification as PMP. 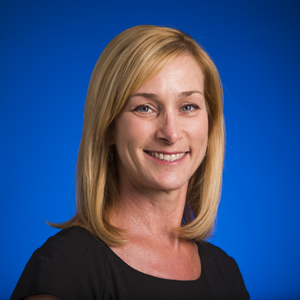 Staci Pies is Senior Public Policy and Government Relations Counsel at Google, where she represents Google before policymakers on global connectivity issues such as high speed broadband deployment and adoption, telecommunications regulation and innovative spectrum management. Previously, Staci was Director of Government and Regulatory Affairs at Microsoft, which she joined after three years at Skype when Microsoft purchased the company in 2011. Staci is the President of the Voice on the Net (VON) Coalition, the premier US Coalition advocating for policies that support the deployment and adoption of Internet communications applications, products and services. 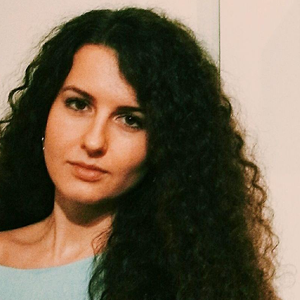 She has served as President and former Chair of the VON Coalition since 2004. In these roles, Ms. Pies has testified before the United States House of Representatives and various state legislatures. 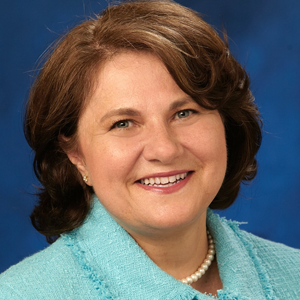 Before joining Skype in January 2008, Ms. Pies was VP of Governmental and Regulatory Affairs for PointOne, a small wholesale VoIP provider, and Director of Federal Regulatory Affairs for Level 3 Communications. Staci also held a number of positions at the FCC including Deputy Division Chief, Network Services and senior attorney in the FCC’s former Common Carrier Bureau. Staci lives in Rockville, Maryland with her husband and dogs. On occasion her son returns to visit from his studies at the University of Michigan. Frank Bradshaw began a career in IT by volunteering to lead a group to wire his dorm to being a technical trainer specializing in Lotus Notes and Cybersecurity. 10 years of being a CISSP Master trainer has given him an opportunity to have a hand in the growth of cybersecurity professionals. After many years of working in everything from startups to Fortune 500 companies, Frank Bradshaw now owns and runs Hoike Technologies, a cybersecurity managed services company that specializes in providing SMBs the same level of protection that Fortune 500 companies enjoy, at a price they can afford. 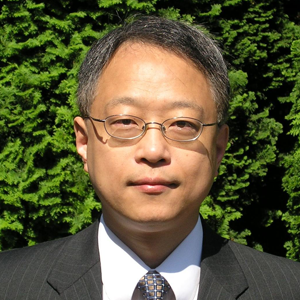 Dr. Tao Zhang, an IEEE Fellow, has over 30 years of leadership experience in creating and commercializing new technologies in areas including connected vehicles, mobile networks, fog/edge computing, and IoT. He is Senior Director for Technology and Industry Development at Futurewei Technologies (Huawei R&D USA). He was the CTO / Chief Scientist for Smart Connected Vehicles business at Cisco Systems. 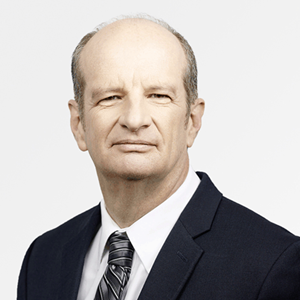 Prior to Cisco, he was the Chief Scientist for vehicular networks and the Director of multiple research groups on mobile networks and applications at Telcordia Technologies (formerly Bell Communications Research). Tao cofounded and served as a founding Board Director for the OpenFog Consortium and the Connected Vehicle Trade Association (CVTA). He was the CIO and a Board Governor of the IEEE Communications Society. Tao holds over 50 US patents and has coauthored two books “Vehicle Safety Communications: Protocols, Security, and Privacy” (2012) and “IP-Based Next Generation Wireless Networks” (2004). Ben has years of experience in hacking stuff, writing code, and in his past was a red team leader, and technical leader as a CTO and research manager.Ben is Impervas Threat Research Director, and leader of the research group, consisting of elite security researchers and developers - researching Network, Application & DB Security, Data Analytics & Machine Learning. Steve Hanna is a Senior Principal at Infineon Technologies. 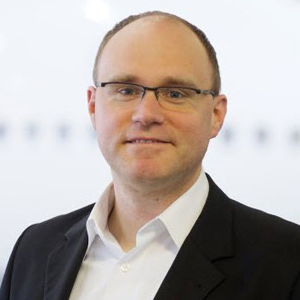 He currently co-chairs the Trusted Computing Group Embedded Systems Work Group and is involved in the TCG’s automotive, IoT and industrial IoT efforts.He previously was on the Technical Committee in the Trusted Computing Group and a member of the Security Area Directorate in the Internet Engineering Task Force and currently is involved in the Industrial Internet Consortium. Hanna has previously participated in other networking and security standards groups such as the Open Group and OASIS. 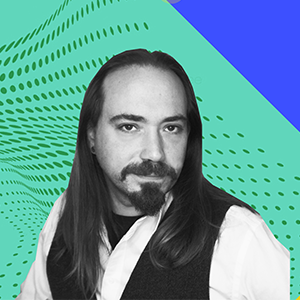 He is the author of several IETF and TCG standards and published papers, an inventor or co-inventor on 41 issued U.S. patents, and a regular speaker at industry events such as Interop and the RSA Conference. He holds a Bachelor’s degree in Computer Science from Harvard University. 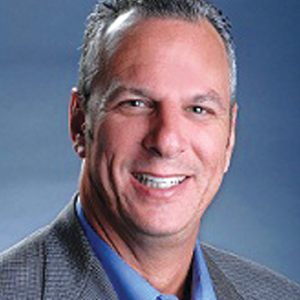 Bryan A. Lubel is President of Integron, an IoT managed services company. He was appointed to this position in January 2008. 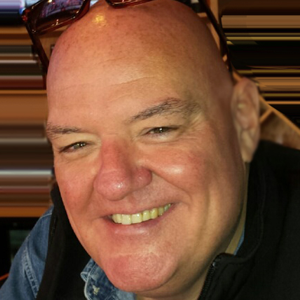 Mr. Lubel has over 25 years of general management, sales, marketing; product and services marketing channel marketing, operations and systems design experience. Integron specializes in helping clients design, deploy and support IoT solutions. Integron has developed Managed IoT Services specialization in connected health, remote patient monitoring, clinical drug trials, critical asset monitoring, remote service, fleet tracking, telematics and billing solutions.Prior to his current assignment, Mr. Lubel served as President and Chief Executive Officer for Gyricon LLC – a wholly owned subsidiary of Xerox Corp. Gyricon LLC was a technology spin-out company of Xerox’s famed Palo Alto Research Center (PARC), which focused on commercialization efforts around Xerox’s electronic paper (SmartPaper) technology. The technology offering is now part of Xerox’s intellectual property catalogue available for license. 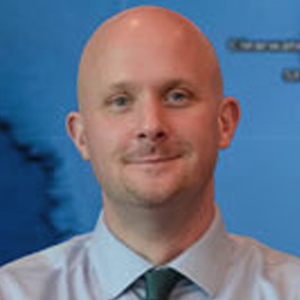 Mr. Lubel holds a Bachelor of Science degree in Management Information Systems from the State University of New York. In addition, Mr. Lubel has completed management, technology and foreign language programs at The Ohio State University and Laval University, Quebec, Canada. 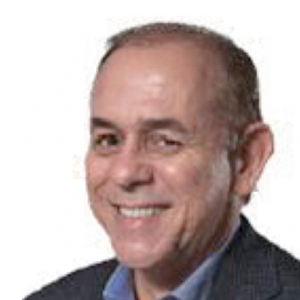 Dr. Claudio Lima is a seasoned executive, Global CTO, VP of Innovation and thought leader in advanced energy (utilities, oil and gas) and telecom/IT working with emerging technologies, new businesses and digital transformation. He received his Ph.D. in Electronic Engineering in 1995 at UKC (England) and has Fortune 500 industry and high tech start-up experience as Chief Technology Officer (CTO) and VP of Innovation, including R&D Labs, leading teams in advanced energy systems, Internet of Things (IoT), Blockchain for Digital Oilfield, Smart Grid, Microgrid and Distributed and Intelligent Energy Resources (DER). He served as Vice Chair of the IEEE 2030 Smart Grid Standards, where he made significant contributions to the development of global smart grid. Previously, Dr. Lima worked as Global Smart Grid CTO of Huawei Technologies in Europe-Asia-Pacific and as Distinguished Member of Technical Staff (DMTS)/ Sr Research Scientist at Sprint Advanced Technology Labs (Sprint ATL), in Silicon Valley-CA. He has set up and led global advanced research and engineering projects with collaboration in a wide variety of industries, including energy, telecom and IT/IoT. He is the co-inventor of a disruptive patent on Microgrid Energy Transactive Energy to enable new energy business models. He has more than 100+ conference keynote speaker presentations and scientific research that has been published in leading peer-reviewed journals, including 12 USPTO patent awards. He is Co-Chair of the Industrial Internet Consortium (IIC)/Energy, Utility and Oil & Gas, promoting Industrial Internet of Things (IIoT), Machine Learning/AI and Industrial Blockchain Energy collaboration with industry partners, driving Digital Oilfield transformation, including IoT Cybersecurity emerging technologies. He is also Co-Chair of the EPRI Energy Storage System (ESS) Procurement Working Group, working with electric utilities on the development of utility scale energy storage engineering frameworks. Lisa Brown joined Johnson Controls in 2003. As national director for Municipal Infrastructure & Smart Cities, Lisa is responsible for growth of the local government market in North America, including the development of strategies, offerings and innovations for local government service and systems markets. In 2015, Lisa created Johnson Controls’ local government urban growth initiative, which combines smart city solutions with community outreach and workforce enhancement for midsize to large municipal customers. 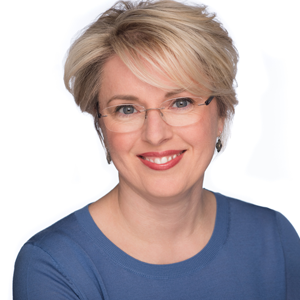 Lisa is consistently sought out to deliver key note presentations and participate on Smart City and IOT panels to discuss how data can assist cities to become “smarter” and its relation to climate resiliency, smart infrastructure and economic growth. Lisa was recently nominated to join the Women of Municipal Government committee for the National League of Cities (NLC), and the Smart Communities Advisory board for the International City Manager’s Association (ICMA). For the past three years, she has been the leader of the East Region Women’s Resource Network of Johnson Controls and served as global ambassador for International Women’s Day. Lisa served 15 years with the Junior League of Montclair-Newark, four of those years as director of community development and outreach in Newark, New Jersey. 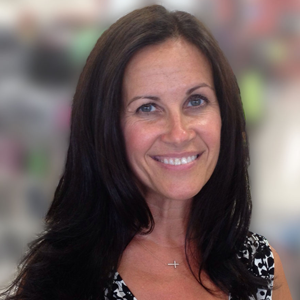 Lisa currently is a board member of the Rumson-Fair Haven Education Foundation. In 2016, she was honored as a NY Women of Valor and received the Humanitarian Award from St. Francis Food Pantries and Shelters, which support 1.5 million food disadvantaged New Yorkers annually. Lisa resides on the Jersey Shore with her family and two always hungry dogs. Always on the cutting edge of business thought, Jeannette Galvanek has ledmajor corporate and people transitions across organizations for decades.Jeannette's diversified corporate leadership experiences include senior advisor,human resources executive, organizational change leader and VP of Talent(technical) development at AT&T and Bell Labs.Jeannette founded her current business venture – LifeWorkx – pursuing reinvention of the traditional model of caregiving. She discloses essential digitaldirection for a work-life-caregiving ecosystem through collaborative healthcare,smart home, mobile enterprise and IoT innovations. LifeWorkx’s laser focus ison corporate labor market and employment challenges due to expectations thatemployees take on caregiving in addition to their paid jobs in our aging society. 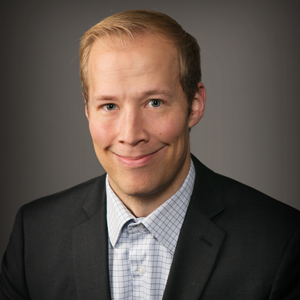 Iisko Lappalainen is heading Montavista’s Technical Marketing and Technical Field Operations. Iisko has over 15 years of experience working in the embedded software sector, besides MontaVista also in leading companies like Nokia, Ericsson and Tieto as well as some innovative Embedded Linux startups. He is tasked to making sure that MontaVista’s customers have the best fit solution available to them using MontaVista’s products and services, and that MontaVista’s product offering also reflects the needs of the market. During his career he has worked in several application and industry areas including mobile terminals, telecommunications software and machine-to-machine communications/Internet of Things. 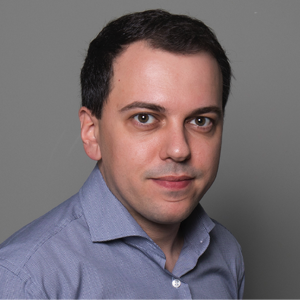 Iisko and his team focus on evangelizing, planning and promoting innovative technologies around embedded Linux in the areas of Networking, Telecommunications, IoT, Military/Defense among others. Iisko holds a Masters degree in Computer Science from the University of Turku, Finland and is pursuing a Ph.D in the field of embedded systems. Brandon has presented to OEMs and resellers on device and embedded device networking solutions all around the world - from New Delhi to Budapest. As a Regional Sales Manager, Brandon Dalida is responsible for direct and managed sales in the South US for the Multi-Tech device and embedded product lines. Before joining Multi-Tech in 2008, Brandon was a field technician and sales engineer in the telecommunications industry for more than 12 years. Kristina is a digital governance advisor with nearly 20 years of management consulting experience. She brings clarity across the global organization and its regulatory environments to rapidly customize a policy framework that frees the organization from legal, regulatory and operational risk to fully leverage digital solutions in service of the business mission. Kristina has a BA in international studies and an MBA in international business from the Dominican University of California and is certified as both a Change Management Practitioner (APMG International) and a Project Management Professional (Project Management Institute). Ted Hayduk is a principle technologist specializing in video capture for surveillance and IOT including intelligent video analytics architectures. Ted provides solution architecture and systems design for the worldwide Netapp team, our partners and clients.Prior to joining Netapp in Oct 2012, Ted worked at Cisco for 2 years as a Solution Architect for Physical Safety and Security for the Emerging Solutions Ecosystems team who’s charter is to engage with strategic Cisco partners to define joint technical and business architectures.Ted has 18 years experience in IP Video Surveillance integration and system design working with two of IBM’s largest storage business partners. Ted’s data storage experience spans more than 25 years on open systems SAN platforms.With over 38 years of technology integration experience, Ted has a proven track record in all aspects of solution architecture design, business development and project implementation that helps clients solve problems and capture opportunities.Ted resides in Plantation Florida. Currently focused on IoT service providers for cross-domain platforms spanning fixed, mobile, home, enterprise, and government, Randy serves as a Senior Solutions Engineer for Nokia. 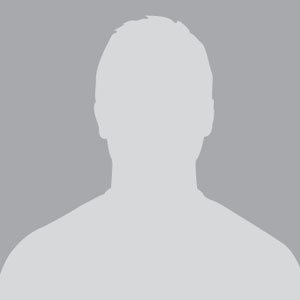 As a Distinguished Member of Technical Staff, he has been involved with the largest operators in North America for identity, device, and subscriber profiles and their relationships across network access methods. Likewise, as a Senior Member of IEEE he is committed to standardization groups, academic rigor, and educational sharing of lessons learned. Randy holds a Certified Software Engineering Professional designation in addition to an MSEE from Duke and Physics BS from Lipscomb. Glenn Richards is a partner and chair of the communications practice at Pillsbury Winthrop Shaw Pittman in Washington, DC. He represents communications service providers and investors in transactional, regulatory and litigation matters before the Federal Communications Commission and state public utility commissions. Glenn also represents corporate users of communications services in contract negotiations with their suppliers. He is also Executive Director of the Voice on the Net Coalition (www.von.org), a trade association of providers of Internet communications. Glenn received a journalism degree from West Virginia University in 1982 and a law degree from New York Law School in 1985. He can be reached at 202-663-8215 or glenn.richards@pillsburylaw.com. Hannah Merrigan is a social entrepreneur, artist, and innovator dedicated to tackling tough global development challenges. She is the co-founder of red_, a startup introducing radically cheap, ubiquitous internet connectivity into dense urban environments in Latin America and simultaneously providing formerly unbanked individuals with a way to transact digitally. Nav Ranajee is the Global Healthcare IoT Leader at SAS.Mr. 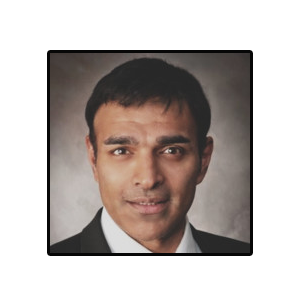 Ranajee has nearly 25 years of experience in the HLS industry beginning his career in medical administration for the Philadelphia VA Medical Center and then moving onto senior healthcare consulting/project management roles with Siemens Medical Solutions and Arthur Andersen. For nearly 10 years, he successfully developed and led the HLS product divisions for Bank of America and Fifth Third Bank leading teams of sales, product and marketing personnel. As the global marketing leader at IBM Watson Health, he drove the go to market strategies for IBM’s suite of big data and analytics solutions working closely with large HLS customers as well as developing key channel partnerships. Most recently, Mr. Ranajee was the HLS Solution Strategy leader at Ricoh focused on digital transformation.Mr. Ranajee frequently speaks and blogs on the convergence of healthcare and technology and has been published in industry publications such as HFM, HIMSS and Healthcare Informatics. 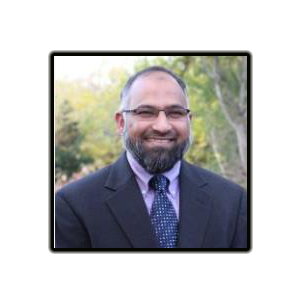 Mr. Ranajee holds an Executive Scholarship in Marketing from Northwestern University, an MBA in Healthcare Administration from Widener University and a bachelor’s degree in Supply Chain Management from the Pennsylvania State University. Dr. Ege is the Senior Director in SAS IoT R&D leading the advanced analytical components innovation. She has BS, MS and PhD degrees in Industrial and System Engineering. She received her Ph.D. from Industrial and Systems Engineering at NC State University and is a registered Professional Engineer in North Carolina.Dr. Ege has been in SAS Research and Development for 30 years. Over the years, she has worked on financial analysis, financial risk, and forecasting software.As the Senior Director in R&D, Dr. Ege is responsible for applied analytical components in SAS business solutions in different vertical and leading the analytical components development for high frequency machine data analytics for ‘Analytics of Things’ domains. She has received the SAS CEO Award of Excellence and the NCSU- Industrial and System Engineering Distinguished Alumni award in 2011. Leonardo Simoes is a specialist in information technology withmore than 20 years of experience in the public and privatesectors. He has also worked in companies such as Microsoft andOracle.Responsible for several projects focused on the citizen, he hasstood out globally for his studies on Smart Cities.Most recently, he was CIO of the Ministry of Cities, in theFederal Government in Brazil, responsible for projects such asthe countrys first digital driver’s license, as well as ITStrategic Planning for the biennium 2017-2018 of that Ministry.In 2017 he was awarded by the Government of Taiwan (R.O.C. )together with the Lincoln Institute of landing Police (USA) asbest speaker of the Smart Cities Seminar on that country.Mr. 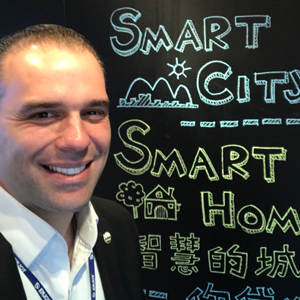 Simoes is also a permanent member of the technical councilat the Smart Cities America Institute. 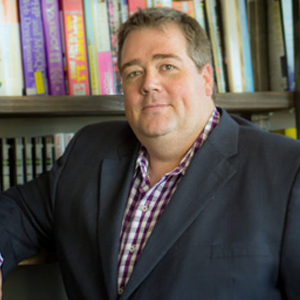 Christopher McCann is the CEO and co-founder of snap40. snap40 is building a platform to continuously and passively monitor the entire human body, using the data to deliver healthcare, preventively and before you become sick. A serial entrepreneur with extensive engineering and medical experience, Christopher is responsible for architecting the company’s vision and direction, which he envisioned during his third year of medical school, eventually dropping out to focus on the company full time. 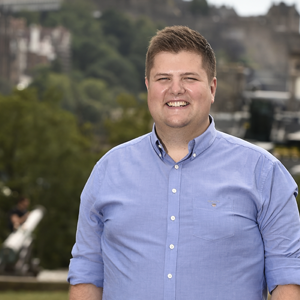 Christopher holds a master’s degree in engineering and computer science from the University of Dundee, Scotland, as well as bachelor’s degrees in medicine and surgery. 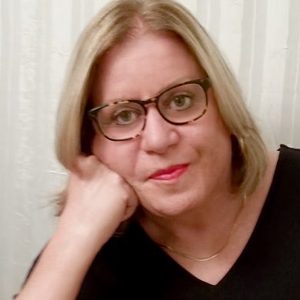 Mari Silbey is Director of Communications for US Ignite and Director of US Ignite Forum, a program that convenes workshops around the country, bringing local government officials and their partners together to share smart city challenges, strategies, and best practices. Prior to joining US Ignite, Mari spent several years as a journalist covering broadband infrastructure, video delivery, and smart cities. Her telecom and cable roots go back further through work as an independent writer and analyst with both analyst firms and several private-sector companies including Limelight Networks and Motorola before its acquisition (and later sell-off) by Google. She is a graduate of Duke University, based in Washington, DC. Hants Williams, Ph.D., RN, is a registered public health nurse and published scientist who has dedicated his career to the enhancement and integration of cost-effective healthcare solutions that help provide care to vulnerable patient populations. His commitment to, and impact on, the field have directly contributed to the advancement of healthcare solutions that have influenced the health of more than 6 million individuals. 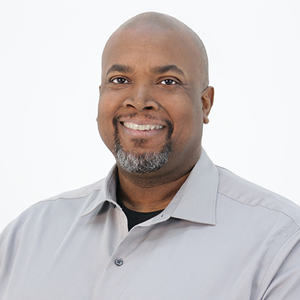 Having worked as both a nurse and a data scientist, Dr. Williams’ experiences provide him with a unique understanding of, and insight into, advancements in technology and data engineering. 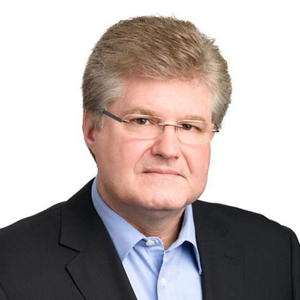 Marcellus Buchheit is co-founder and Chairman of the Board of WIBU-SYSTEMS AG in Karlsruhe, Germany. 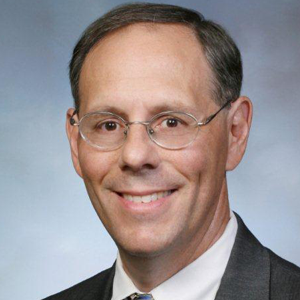 He currently serves as the President and CEO of Wibu-Systems USA Inc., located in Edmonds, WA where he resides.Marcellus earned his Master of Science degree in computing science at the University of Karlsruhe, Germany in 1989. In the same year, he co-founded Wibu-Systems together with Oliver Winzenried. As the original architect and first software developer of the company’s successful WibuKey, CodeMeter, and SmartShelter product lines, he is well known in his field for his expertise in designing innovative techniques to protect software against reverse-engineering, tampering, and debugging. The products he designed have never been cracked by hackers in multiple public global contests.Marcellus is an active member of the international Industrial Internet Consortium (IIC), where he is co-chair of the Industrial Internet Consortium (IIC) Trustworthiness Task Group and involved with security, trustworthiness and monetization initiatives. He is one of the editors and authors of the Industrial Internet Security Framework document.He is a frequently invited speaker at industry events, and has accepted many industry awards on behalf of Wibu-Systems, including the CODiE awards in 2017, 2014, and 2009 in recognition by the SIIA of CodeMeter as the Best Content Rights and Entitlement Solution. 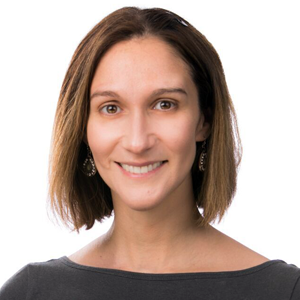 Dr. Sarah Glova is Director of Growth & Communications for RIoT, the nonprofit group dedicated to growing the IoT sector. Sarah directly supports RIoT sponsors, architects RIoTs and partner events, leads marketing and communication efforts, and supports RIoT’s mission of capturing and growing the IoT market sector.Sarah is also the Founder of the award-winning digital media firm Reify Media, a self-funded company she started at 26 that serves clients across the country. Before starting Reify, Sarah taught technical writing to engineering and business undergraduates at NC State University. 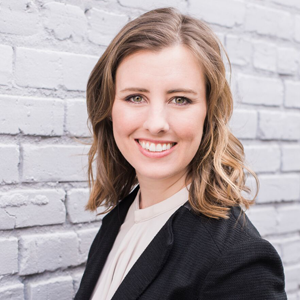 Sarah has a PhD in Instructional Technology, and she’s a published author who’s spoken internationally about technology trends, technology in education, women in tech, and women in entrepreneurship. 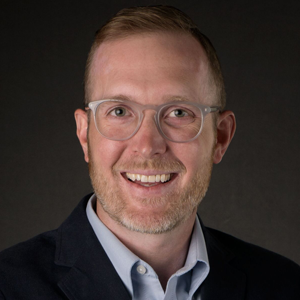 Doug Wilson is a Verizon Wireless Internet of Things Specialist serving as an IoT subject matter expert, charged with growing IoT partnerships with new and emerging IoT companies and ensuring successful Internet of Things solution implementations. In his role he has successfully brought several new IoT solutions to market through the partnerships with Verizon. Doug has had a successful career with Verizon as an M2M Regional Sales Specialist, Data Sales Account Manager and Data Sales Engineer for Verizon Wireless. Prior to that Doug worked for Verizon Business on the Regional Sales Engineering Team as a Network Equipment Sales Specialist. 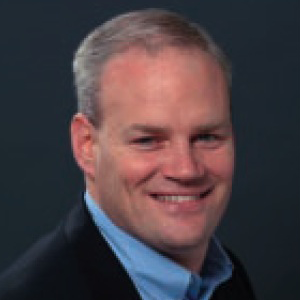 Doug has had an extensive career in technical sales and engineering with numerous enterprise class organizations such as Belkin, Microsemi, Avaya, and NEC. Doug started off his career by serving our country in the US Air Force as a Communications Specialist where he achieved the Management and Outstanding Team Chief awards.